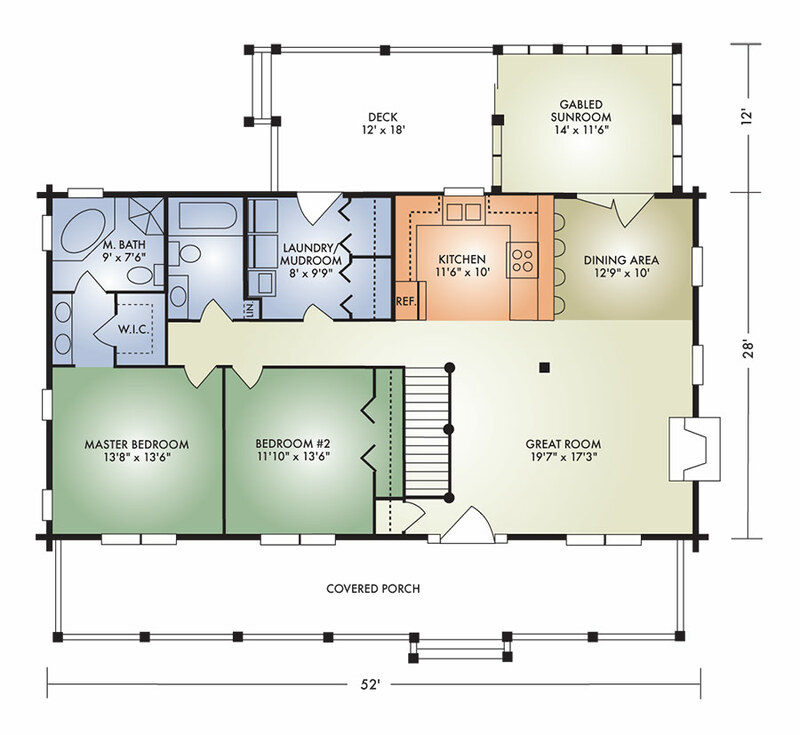 The Honey Creek II is an enlarged version of our popular Honey Creek with the added convenience of a separate laundry/mudroom and sunroom. It also features a master bath with walk-in closet and master bath large enough for a hot tub. The open-concept great room has an exposed timber ceiling and fireplace. The kitchen has a raised bar and the dining area opens to a gabled sunroom and deck which makes hosting friends a breeze. 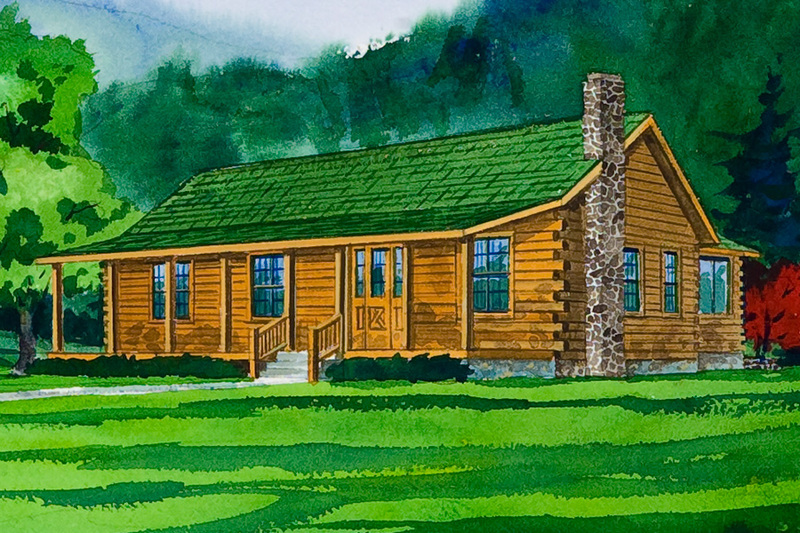 You'll love the step-saving convenience of this ranch with the heart-warming ambience of an authentic log home.